Founded in Turin, Italy, Panini has enabled clients to capitalize on shifts in the global payments processing market for more than seventy years. Panini has a rich history of technology innovation, leveraging the company’s expertise in research & development. Panini’s market leading solutions are based on state-of-the-art engineering resources and ISO-9001 quality certified production. 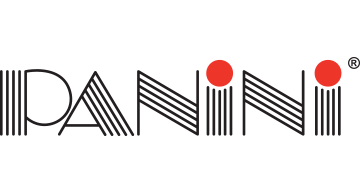 Panini offers check capture solutions that enable customers to fully realize the advantages and efficiencies available with the digital transformation of the paper check, resulting in the world’s largest deployed base of check capture systems, now approaching one million devices. Panini’s scalable check capture solutions address the complete range of distributed check processing opportunities including teller capture, back-counter capture, remote deposit capture, remittance processing and point-of-sale capture. The company provides solutions on a global basis, and has direct subsidiary operations in the United States covering North America and in Brazil covering Latin American markets. For more information visit: www.panini.com.